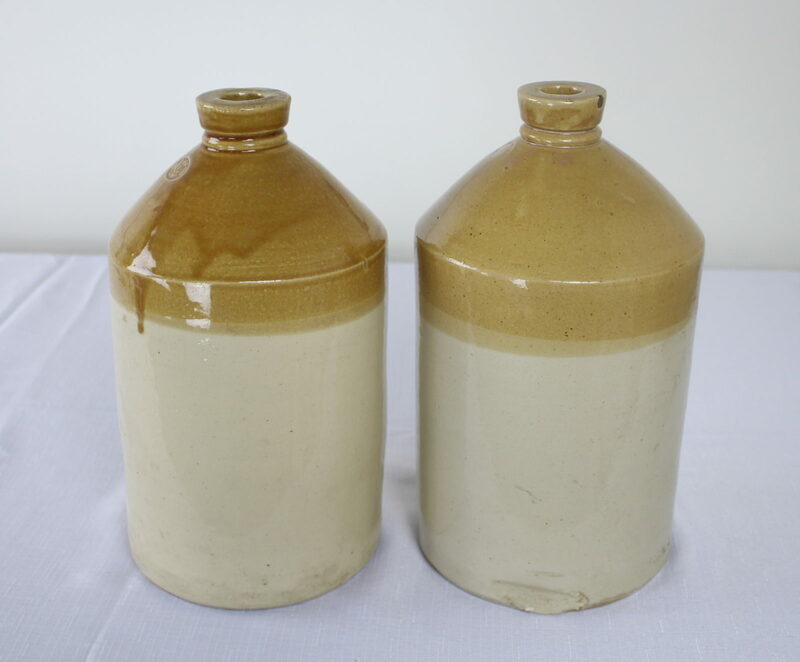 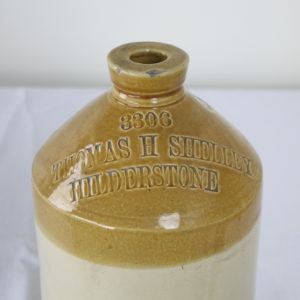 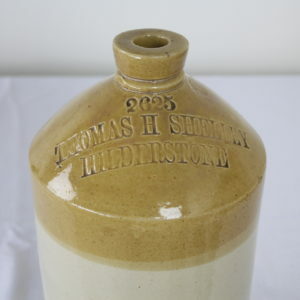 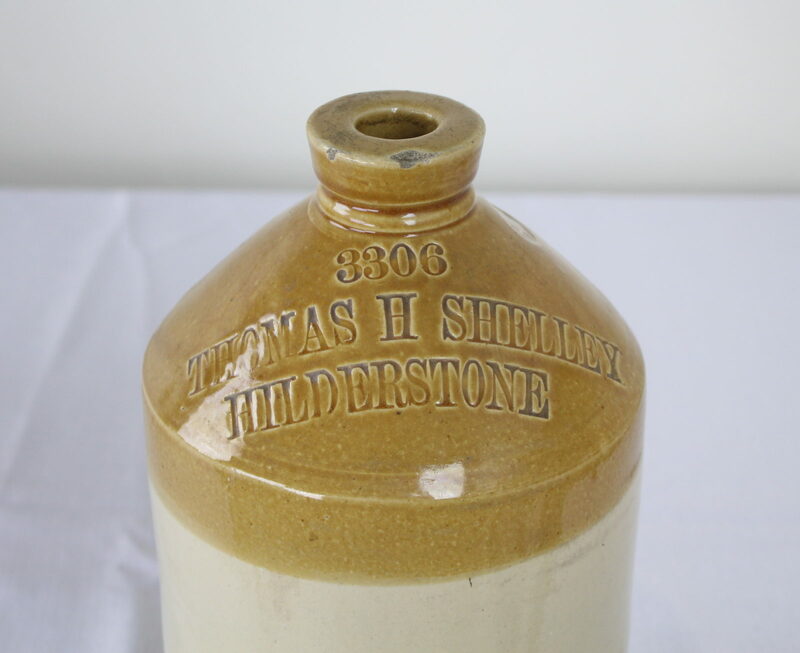 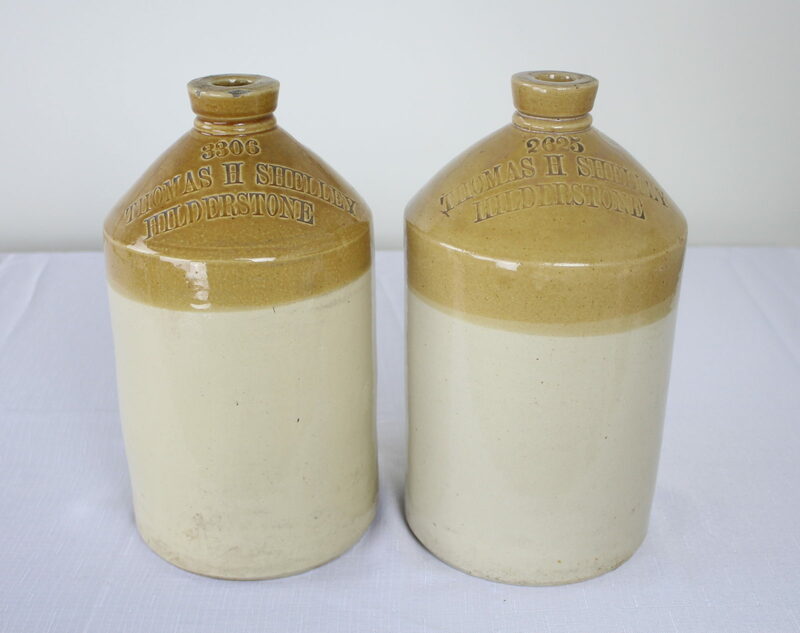 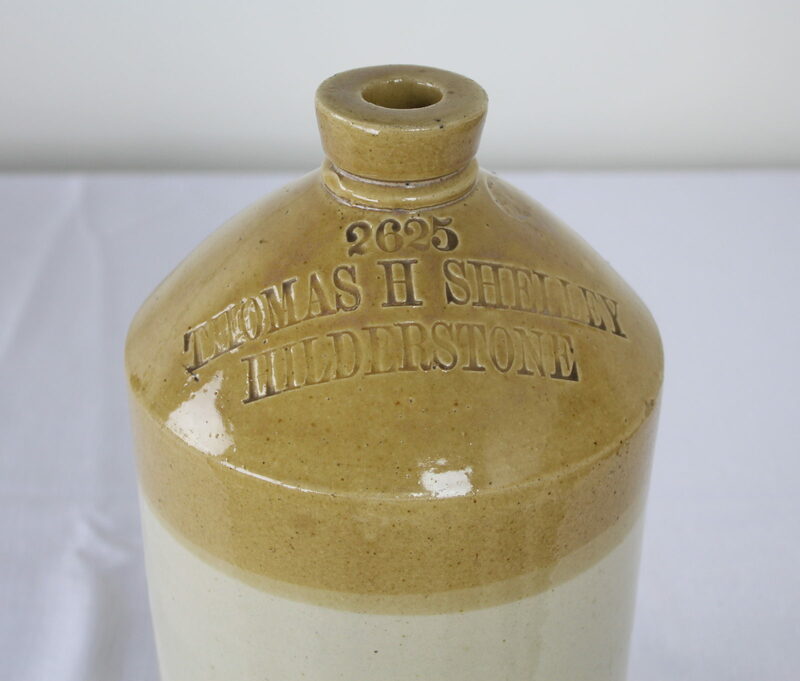 Two jugs from the brewery and malt house of Thomas Shelley, located for almost two hundred years in Hilderstone, Staffordshire. 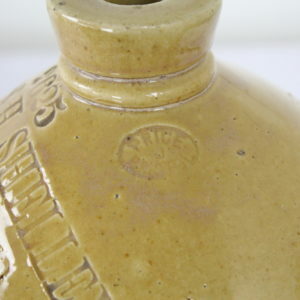 The glaze, though different on each jug, has nice color. 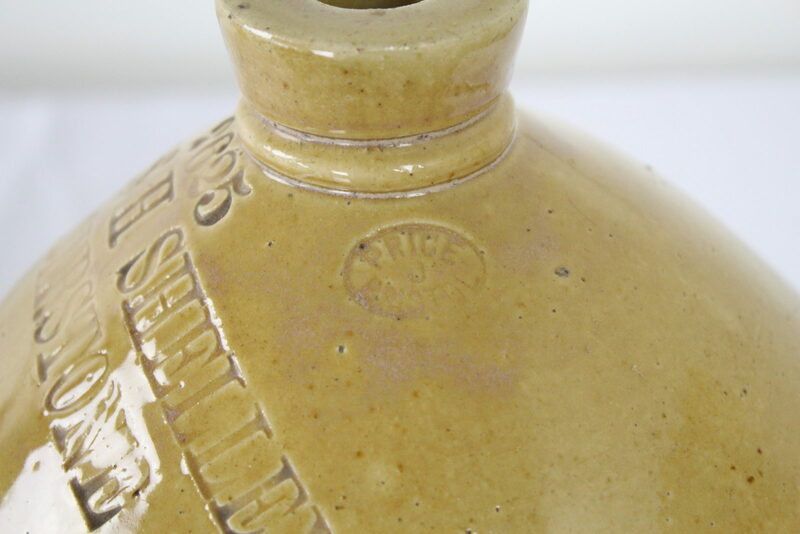 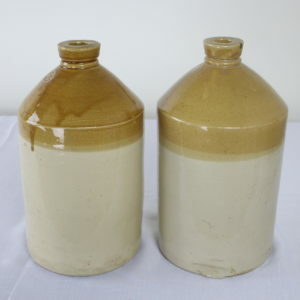 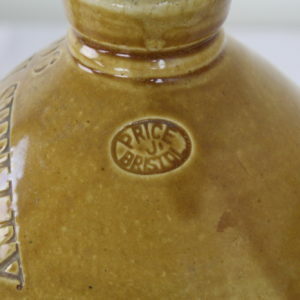 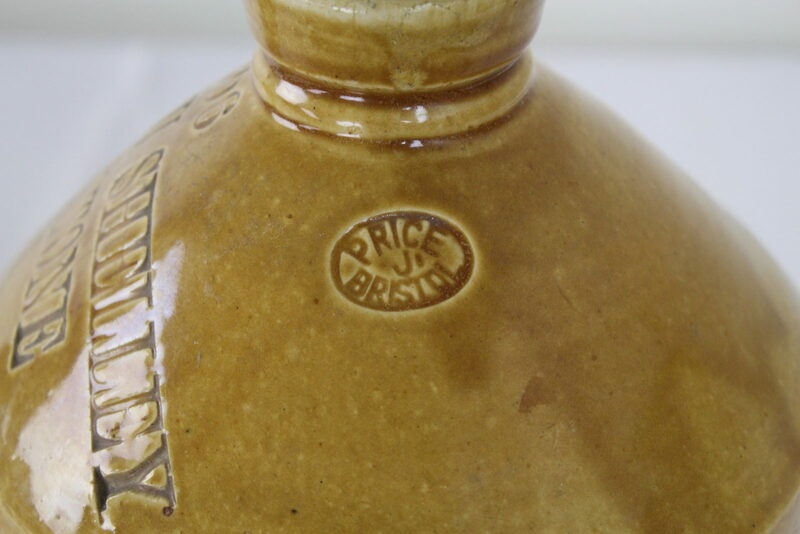 Some wear on the bodies of each jug.